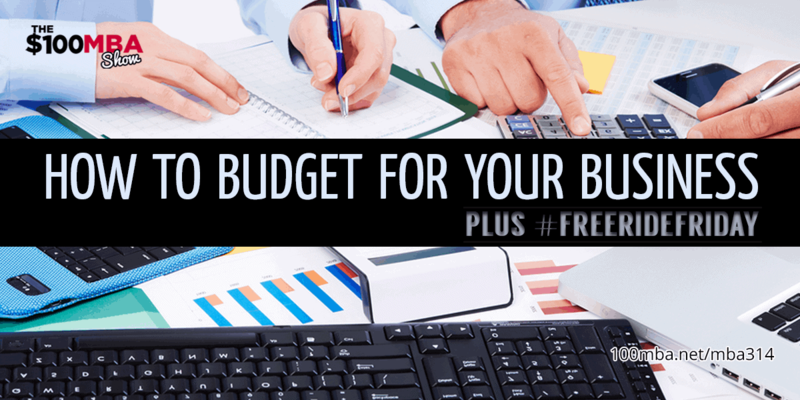 How to Budget for Your Business Plus Free Ride Friday! MBA314 How to Budget for Your Business Plus Free Ride Friday! Have you heard of “Zero-sum budgeting”? It’s a very effective method of budgeting for your business and it has helped us budget for ours, too. Especially if you’re bootstrapping your business, this can help you stay on top of your finances. Let’s learn what it is all about today in this episode! To learn more about Zero-Sum Budgeting head to Dave Ramsey's blog. And check out Dave Ramsey's book "The Total Money Makeover". « Previous Post MBA313 How to Identify Your Strengths and Use Them Next Post » MBA315 Q&A Weekends: Can I make enough money online to replace my current income?